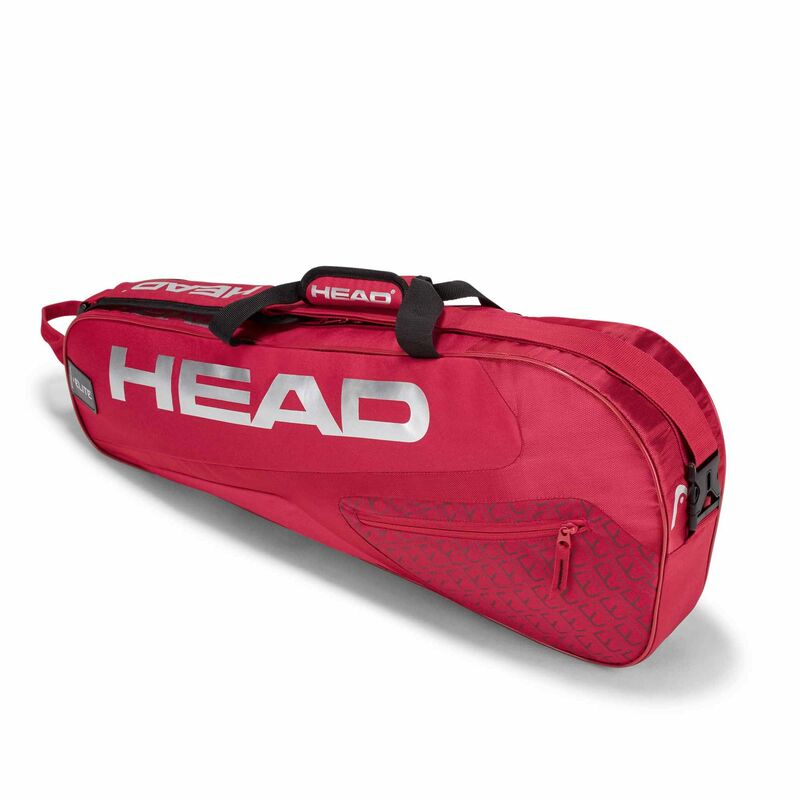 Stay organized and prepared for the next match with the Head Elite Pro 3 racket bag. With a sleek, sporty design, the bag lets you stand out on the way to the courts and has a large main compartment to accommodate up to three rackets. Offering enough space for all the essentials, the bag features two outside zipped pockets suitable for accessories and valuables. It is manufactured from polyester (100%) to deliver long-lasting durability and a padded dual carry handle, as well as a removable, adjustable cushioned shoulder strap allow for easy and comfortable transportation of your gear. for submitting product information about Head Elite Pro 3 Racket Bag SS18 We aim to answer all questions within 2-3 days. 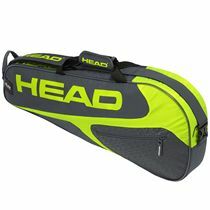 for submitting product information about Head Elite Pro 3 Racket Bag SS18. We aim to answer all questions within 2-3 days. If you provided your name and email address, we will email you as soon as the answer is published. for submitting product review about Head Elite Pro 3 Racket Bag SS18.